Not Your Average Hippy, aka Scott Turner, returns to the ambient world with his fourth solo release, a superb addition to his first three albums released on Blue Water Records. This time, he unveils a beautiful collection of lush and enigmatic abstract ambient pieces, with just the right amount of tonality. We have always loved Scott's music, but we have to say that this time he has really hit the ball out of the park. This is the kind of music that not only grabs the listener while it is playing, but it actually sticks with the listener, becoming part of their experience for hours afterwards. 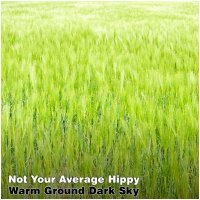 We couldn't be happier to release this masterwork here on Earth Mantra, and hope this is not the last release from Not Your Average Hippy to grace our pages.